Avocados. Cheese. Heirloom Tomatoes. Sourdough. My life is complete. Last night I was called the Evil Duchess of Temptation…all because of some stuff put between two slices of crusty white stuff. And while it is just a sandwich, it is a most delicious one! Here’s what one reader had to say, LOL! Some nights just beg for soup and sandwich and last night was one of those nights. 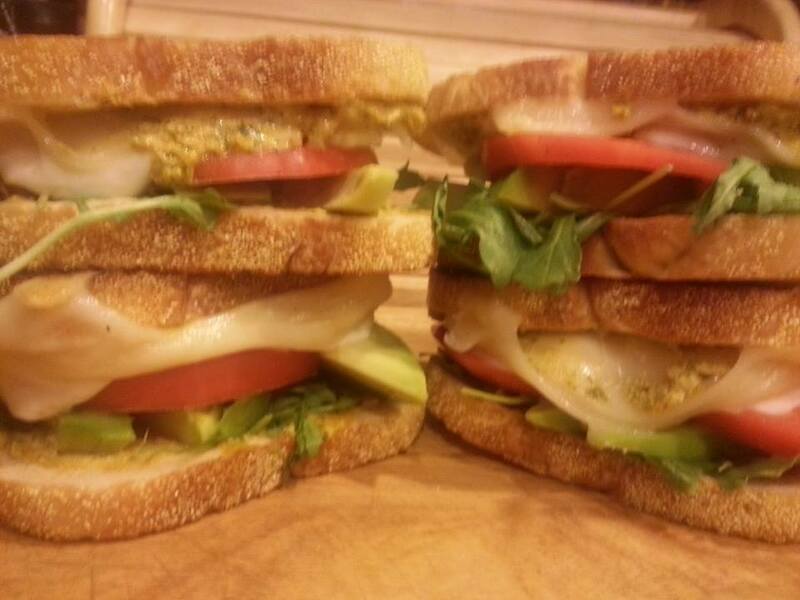 I had enough leftovers to make a nice pot of Chicken and Black Pepper Noodle Soup, and enough Sourdough for a wonderful, melty grilled cheese sandwich slathered with pesto, then topped with silky avocado, peppery arugula, buttery Swiss, fresh mozzarella and sweet, perfectly ripened, heirloom tomatoes. Finally, a few turns of the black peppercorn mill, and holy cow what a sandwich!!!! This ain’t yo mama’s grilled cheese. Try it. Like yesterday. I like easy y’all. Bon appetit! Slather pesto equally on each of the eight slices. 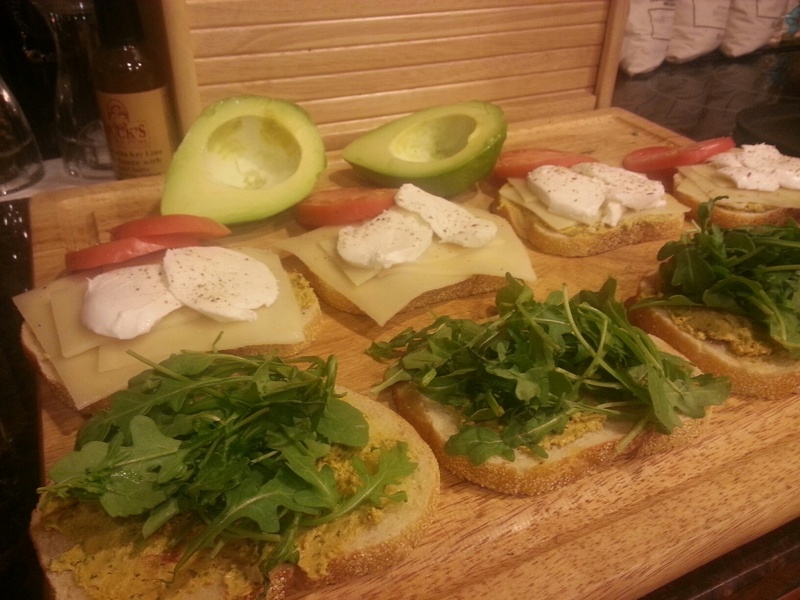 Top with Swiss cheese, Mozzarella, tomato, avocado and arugula. Place on a non-stick griddle until nicely toasted. ENJOY! Quick Tip: If you have trouble with your bread toasting too quickly before your cheese is completely melted, there are several things you can do. You can lower your heat and toast slower at the reduced heat; you can cover your sandwich with a lid until the residual heat has melted your cheese, or you can pop it in the microwave for a minute or so. If you like your arugula cold and crisp, reserve until after you have grilled your sandwich and add before serving.